We've been thinking about that roast chicken all week and how we really didn't do it justice on our last visit. Tonight we return for round two having roped in fellow eators, Al and Elle to help us. Seared scallops with truffle pommes mousseline and cauliflower puree - there's a heavenly aroma of truffle coming off this dish and if you like to pay extra, you can have fresh truffles shaved over the top but I don't think its really necessary. 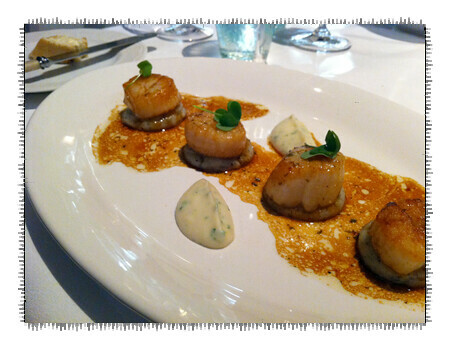 Perfectly cooked scallops, deeply flavoured jus, exquisitively smooth puree - an excellent way to start. 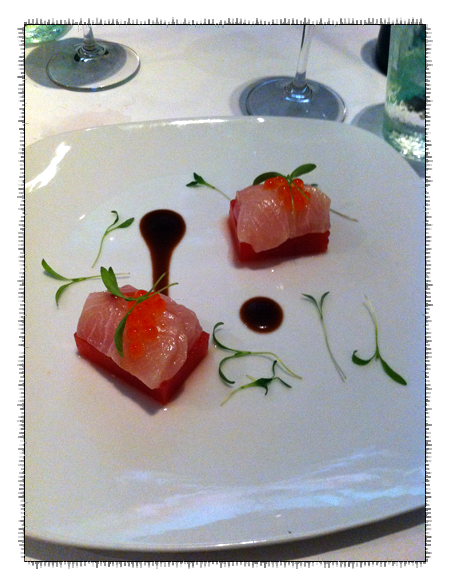 Kingfish ceviche with yuzu, compressed melon and salmon roe - if the previous dish seems more wintery then this speaks to the coming summer. 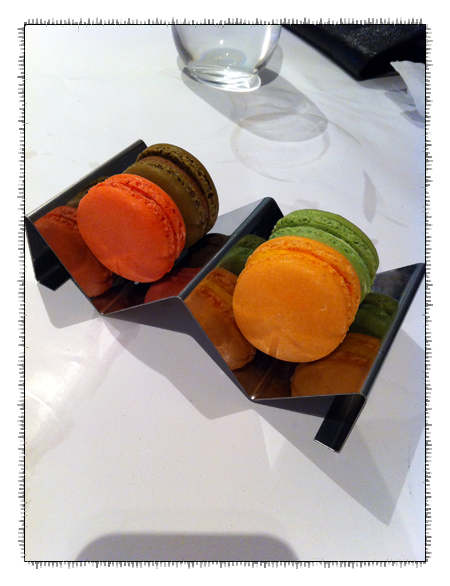 Light, clean flavours, well executed. 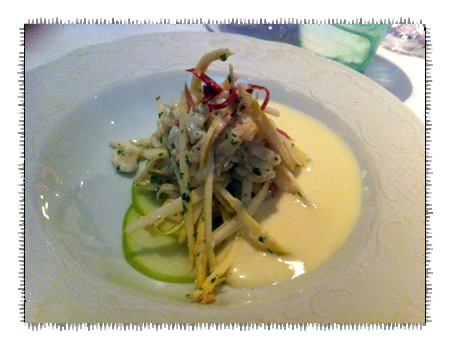 Asparagus vichyssoise with spanner crab salad - the vichyssoise is poured at the table, silky smooth with a deep flavour of aspargus running through it. It's served with an excellent salad full of thick juicy shards of spanner crab. 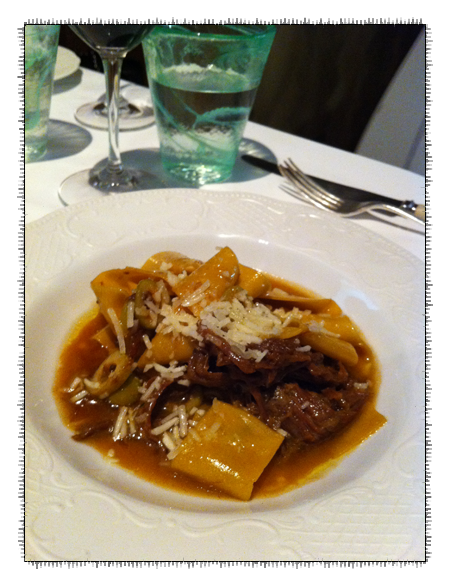 Pappardelle with braised goat, green olives and pecorino - on par with last weeks version. 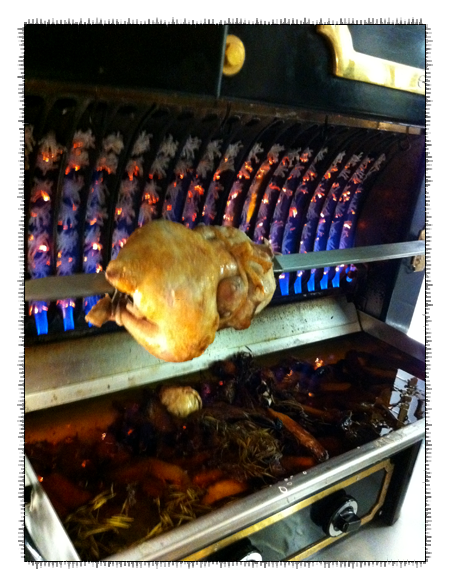 Here's our Rotisserie Chicken cooking away with a view of the vegetables cooking underneath. We had wondered if perhaps we went overboard last week in praise but al and elle both agreed that this was the best chicken.